It's no secret I am a big fan of Rachel at Stitched in Color. I have already taken her Handstitched and Curves Camps and I knew as soon as she hinted at another Camp, I would be signing up no matter what it was. Here we are a month into Camp Penny Sampler and I am loving it. After the baby was born I had definitely lost my sewing mojo, but this has given me the boost I have needed! This camp is a little different than the prior two in that you are doing three months of lessons, each month focusing on a different skill. 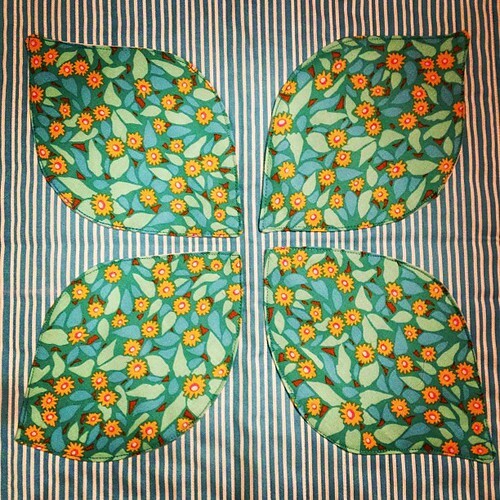 Each of the three unit includes two projects, a quilt and a smaller item plus a number of blocks that will add up to the Penny Sampler Quilt. Although I love the quilt design for the applique month, I do not need to start another quilt right now, so I opted for the pillow. Now I just need to turn it into a pillow! 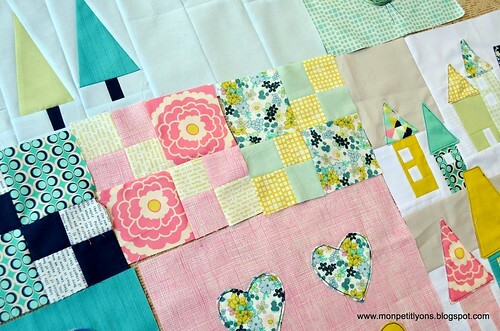 I love the little trio of Four Penny Patch blocks below. 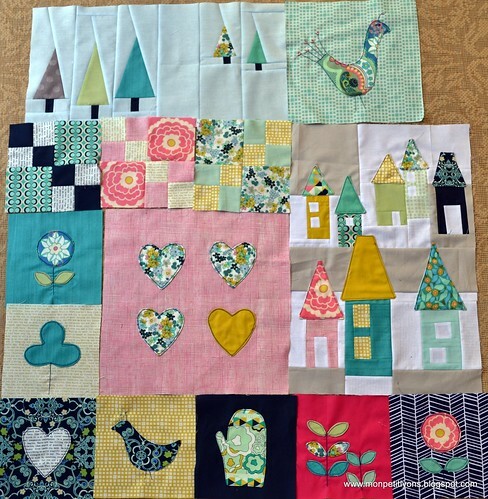 Obviously not applique, but some sampler blocks that were tucked into this month. 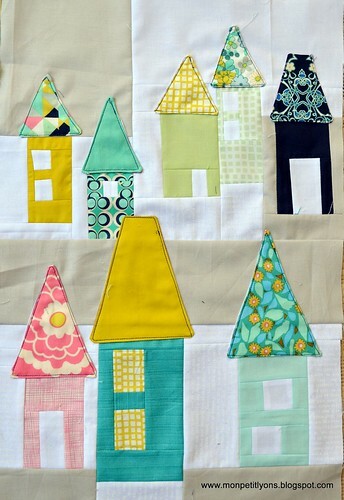 Another favorite block from this month is the Little Village with a combination of piecing and applique. This one was time consuming but well worth it. In case you are curious I decided to start with a fat quarter bundle from Pat Bravo's line, Carnaby Street as my fabric inspiration for this quilt. I have added in solids to match and a few other prints as well. These are different colors for me, but I am liking them the more I work with them. Oh I love all these quilts that I've seen. Very cute! So colorful and beautiful! I love it. 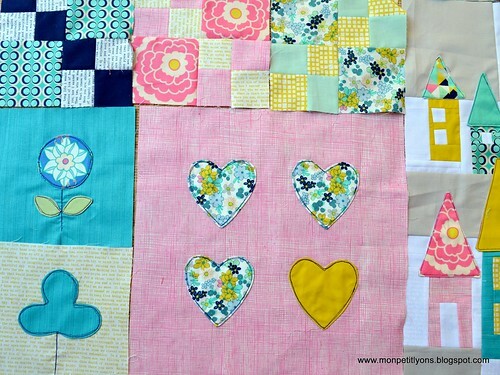 Don't you just want to make a whole quilt with those adorable 4-penny patches? Someday when I'm in a bee I'm definitely ordering up some of those.